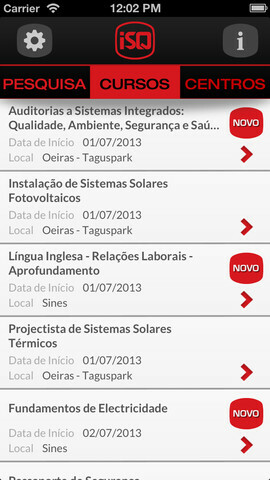 Users will now have access to the complete training programs on their mobile devices. Designed for iOS devices (iPad and iPhone), these mobile applications were developed by Xpand IT and now are available, for free, in the AppStore. Xpand IT, the leader in enterprise mobile applications services, announced the official launch of ISQ mobile applications – private organisation which provides services such as inspection, testing, training and technical consulting. The application provides detailed information about ISQ technical courses & training activities to offer more convenience for all users. Designed for iOS devices (iPad and iPhone), these mobile apps improve user experience and create a communication channel fairly appreciated by the public in general. These free mobile applications are available on the AppStore. ISQ application has a simple and intuitive navigation, separated into three core modules: Advanced Research, Courses and Official Centres. Users can make an advanced search for ISQ technical courses, using keywords such as training topics, regions, locations, prices and others. 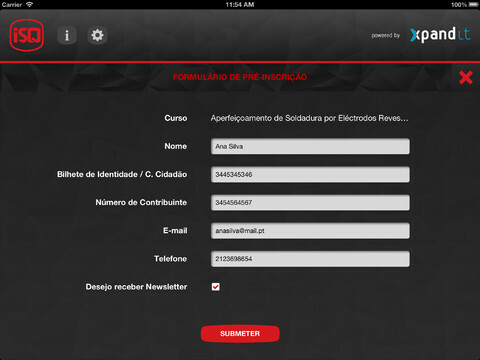 Another benefit is the ability to make training pre-registrations in a simple and quick way. 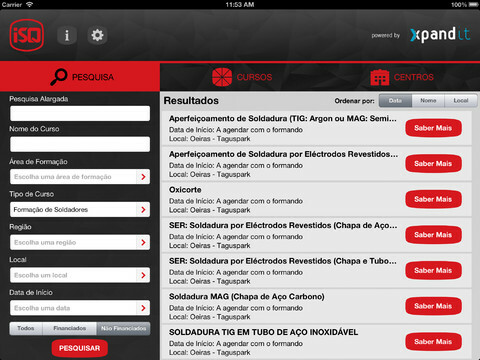 Now users will have access to unique features, search useful information and pre-book their training courses. Xpand IT – leading provider of enterprise mobile applications services, with more than 100 applications in the App Store and Google Play – confirmed that the mobility area continues with an interesting growth, despite the current economic crisis paradigm. After several mobile applications development projects for some reference customers, we realised that many companies are more prepared to align this communication channel with global organisational strategy goals. 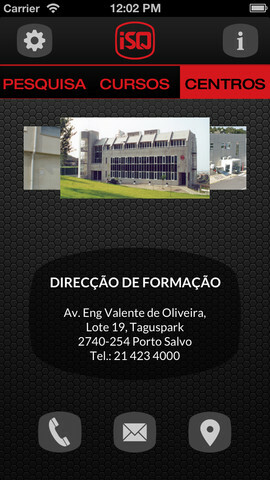 ISQ Group is the largest technology services organisation based in Portugal. Founded in 1965, ISQ operates today in more than 20 countries on 4 continents. 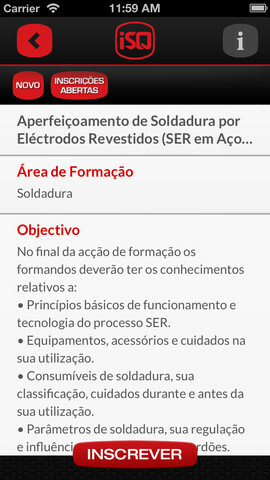 This company provides inspection services, testing, training and technical consulting and has contributed, over the last 40 years to build most of the industrial units in Portugal, in several where their intervention was crucial to ensure that there were no significant deviations compared to time and cost. Over 50% of ISQ business consists of specialised services with a high technological combination, such as complex testing, engineering in the structural integrity, quality control of several industrial buildings, training and Research & Development. In 2012, the Group earned 90 million euros. About 55% of the total turnover comes from exportations. Involving more than 30 companies, the Group has a presence in 15 countries and 1,400 employees worldwide.